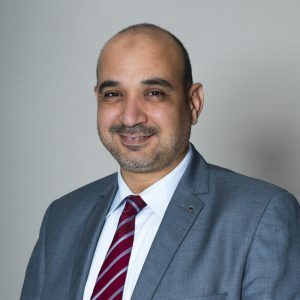 Mr. Hany Atef is a Senior Associate at Al Kabban & Associates Advocates and Legal Consultants and Head of litigation for the UAE Northern Emirates government bodies. Hany has established a wealth of knowledge and experience in the northern Emirate Courts including the Sharjah Courts, Fujairah Courts, Ras Al Khaimah Courts, UAQ Courts, UAE Public Prosecution and all their associated Police departments. Hany has over 15 years of valuable UAE legal experience and has been key in the firm’s success across the Northern Emirates. His focus is primarily in labour law disputes and criminal law cases. Prior to commencing with Al Kabban & Associates team, Hany worked at another private UAE law firm from 2001 to 2006. Hany received his LLB from Alexandria University (Egypt) in 1999 and is fluent in Arabic and English.